In an effort to try and be a person who should be able to see the good in everything, let me start with the positives. 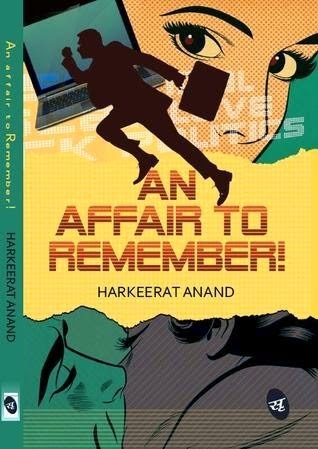 'An Affair to Remember' is quite a well written book and the author has certainly proven her ability to write in a lucid manner.Secondly, the ending was quite unexpected as all the reviews claimed. But after the doles of negativity that the author feeds the reader with through the book, I was quite exhausted when I reached this 'fabulous, unexpected' ending and was in no mood to appreciate it. Cynicism and disrespect to the reader rule, throughout the book. The author has taken great pains right from her dedication and prologue to tell the reader how insignificant and unimportant he/she is to her and how 'she doesn't care' . Thank you, Harkeerat Anand, for saying those kind words to me after I took the effort to buy your book and worse, spent my time reading it because I bought it anyway. This is something probably no author has ever done to her readers. The prologue goes on to drone about how bad things have happened to her many times and by the time I finished it, there was a very bitter taste in my mouth and I regretted buying the book of an author who herself claims that I am beyond help because I had chosen to buy her book! Coming to the story, it is about a young man who is stuck in the corporate ruckus of long hours of pressurizing work, peanuts for salary and bosses taking all the credit.How he gets back at the system is what the book is all about. But amidst the mangled mess of scenes that keep shifting back and forth between the confused happenings of the real world and the protagonist's even more confused mind, the main plot is hardly visible. Am I an unintelligent reader? Maybe, and the author has anyway repeatedly told me that throughout the book. Numerous detailed descriptions of various chemical reactions that can cause explosions (which, by the way, you and I being commoners unlike the author, would never know about - yes, she says that) do not add to the already failing 'charm' if any. Add to all this, continuous negative opinions about the city of Bombay, the protagonist's frustration over his pointless existence, repeated references to urinals and male private parts and viola!! You get 155 pages of negative energy for only Rs 67 if you buy from Flipkart. Oh yes, that can be quoted as a positive - the book size and the price. Though I now wish I had spent that money on a bar of chocolate or ice cream. I would have at least enjoyed them. I feel sad to write such a negative review on someone's effort to write a book and have it published too. I may have forgiven all the cynicism and negativity the author has passed on through the book if she had not repeatedly belittled and disrespected her readers. Where is the need for this in a book? Is that what I get for taking the effort to encourage her debut novel? However, both Good Reads and Flipkart are filled with positive reviews hailing the book. I seem to among the minority who did not like it. If you have read this one, do tell me what you think about it. hmm..ok, I'm not buying this book..but your next in the list has an interesting title. I had seen a movie with the same name and now curious to know if the book hold the original story. Yes Uma, a movie was made based on the book and it is proving to be a great read!. Do try it out. Hey, what are the book blogs/websites that you usually refer to, for suggestions? I could do with some new ones! Please suggest. I also use the cue from book reviews done by fellow bloggers. 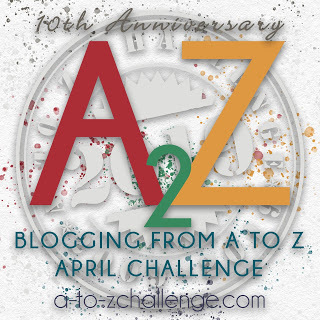 One particularly great resource is http://thehungryreader.wordpress.com/. It is an exclusive book review blog by the most voracious reader I have ever come across! I also recently discovered that Flipkart's recommendations based on past purchases is quite good and may result in some good finds. You can check that out too. Please suggest some fellow book bloggers whose reviews you find trustworthy! Interesting review. I found the 'Dedication' and the 'Warning', funny! Yes, it is a bit cynical and the ending is pretty unusual. It started off well but lost somewhere in the middle. And also the relevance of the title is lost on me. Thanks Shilpa. It does take a lot to write a good book. And I am a huge fan of your book reviews. They are really helpful to pick my reads. Keep them coming! Btw I liked the way you brought out your thoughts on this one, very nicely done. Oh yes, the plot! These themes have been nearly done to death. Just got a mailer from Amazon. They are offering wannabe Kindle owners to try out the device for 15 days, and try to make a decision whether to buy it or not based on their experience. Thought of you - you might want to try it out. I have bought it already!! It is yet to reach me. I am quite convinced I will like it. Will let you know how it feels as soon as I lay my hands on it ! disliked the book and I totally agree with your review.. this when I was asked by the author herself to review the book but under garbs of anonymity! shows I guess! Totally disappointed! So am not the only one! Good reads and Flikpkart were full of good reviews and I thought am quite alone in my opinion.